Omer Kissi used a loan from St. Paul's Neighborhood Development Center to start a business that now employs nine people. Cities often struggle with two distinct but related problems: Revitalizing neighborhoods and employing immigrants. 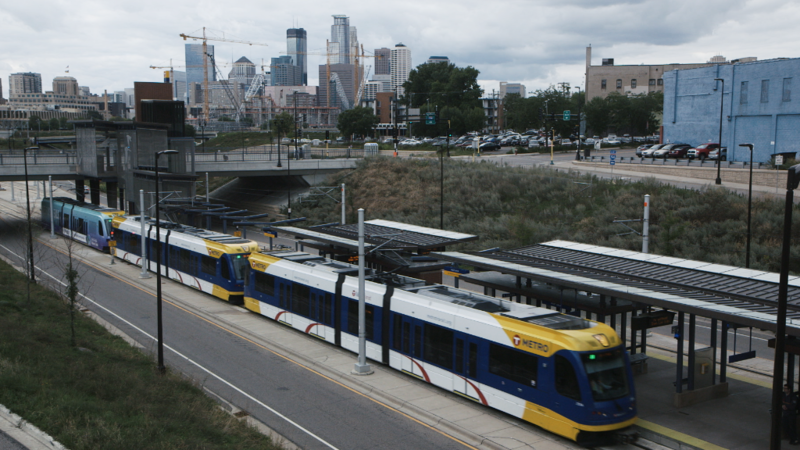 Minneapolis-St. Paul has found a way to do both. Since 1993, the Neighborhood Development Center has provided training and $11 million in loans to immigrant and minority entrepreneurs. There are now over 500 center-backed businesses in the Twin Cities employing some 2,500 people -- many in economically distressed areas. 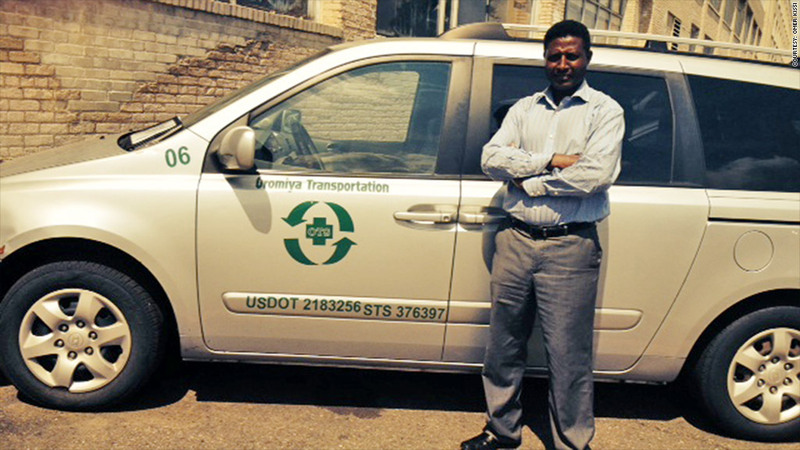 Oromiya Transportation Services was started in 2011 when Omer Kissi, a 45-year-old immigrant from Ethiopia, bought a used Dodge Caravan for $6,200. Kissi, who followed his fiance to the United States in 2008, used the Caravan to shuttle elderly patients to the drug store or doctor's office. He wanted to expand his business, but he had trouble getting access to capital. And although he was trained in Ethiopia as an accountant, those skills weren't directly applicable in running a U.S. business. Then a friend tipped him off to the NDC. After taking a 20-week course in the basics of running a businesses taught in his native language, he was able to secure $30,000 in funding from the NDC and a local bank. Now he has nine vans, nine part-time employees and a contract transporting homeless St. Paul children to and from school. His loans are on track to be paid off by 2016. "They encouraged me, showed me how to get funding," Kissi said of the NDC program. "It really was amazing." Kissi's story is one that NDC founder Mihailo Temali has seen hundreds of times over the last two decades. When he started the NDC in the early '90s, he quickly learned that the key to engaging the local community was to run many of the training programs through existing neighborhood organizations -- which the locals already knew and trusted. NDC now issues about 40 loans a year, each averaging about $25,000 with interest rates from 3% to 7%.The average payback time is around three years, and the default rate is only about 8%, likely because NDC continues to offer training and assistance to the businesses it backs. About half of NDC's business is with African Americans. "Right away, these folks who are maybe a janitor or cooking BBQ on a street corner in a half barrel, they start getting a different self image," said Temali. NDC serves neighborhoods all over the Twin Cities and has connections with the communities of seven ethnic groups, including Somalis, Southeast Asians, Latinos and Native Americans -- though anyone is welcome to apply. By empowering these groups, NDC helps enrich the neighborhood. Some 60% of NDC-backed businesses occupy storefronts that were formerly vacant, according to an independent report commissioned by the organization. In 2012, these businesses pumped over $43 million back into their neighborhood economies through rent, payrolls and other expenditures. There are now at least a dozen other groups in the Twin Cities that focus on empowering immigrant entrepreneurs to start their own businesses. "No one can direct me, no one can force me," Kissi said. "I'm so happy." What's innovative about your city? Let us know by posting your photo and description to #CNNCities on Instagram.